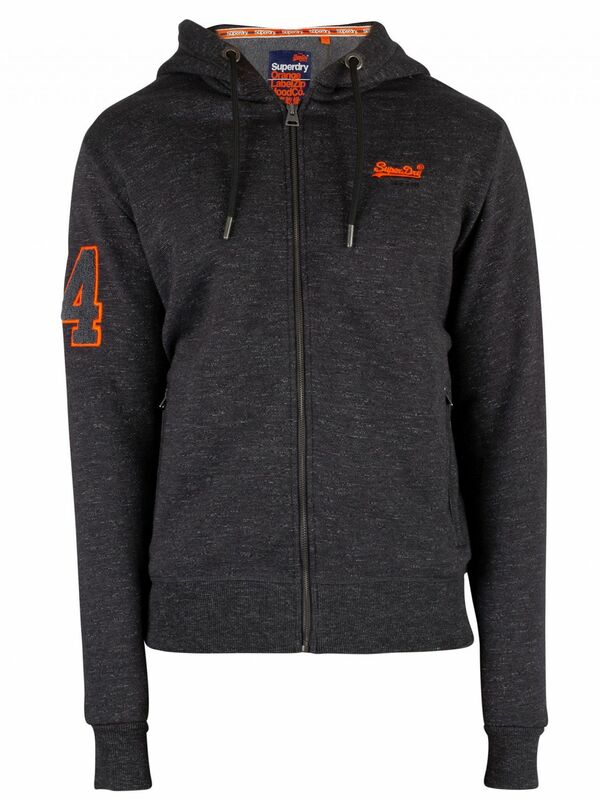 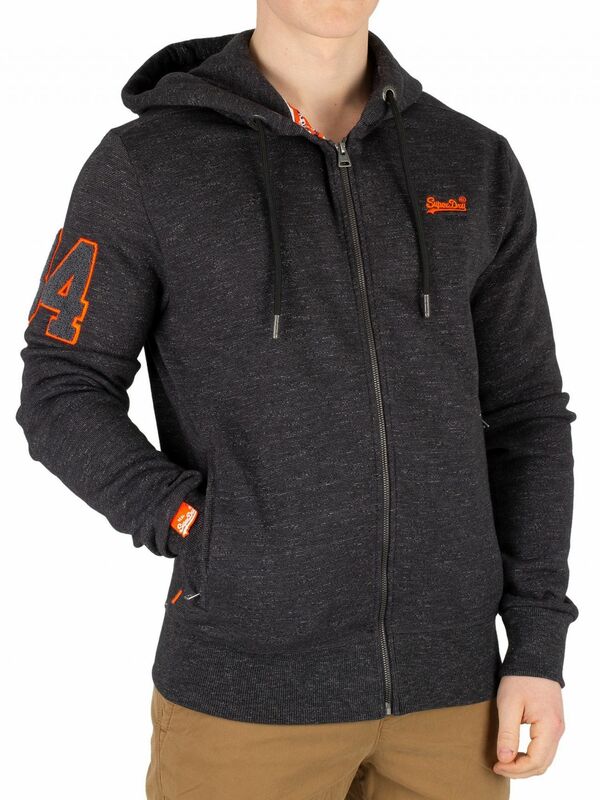 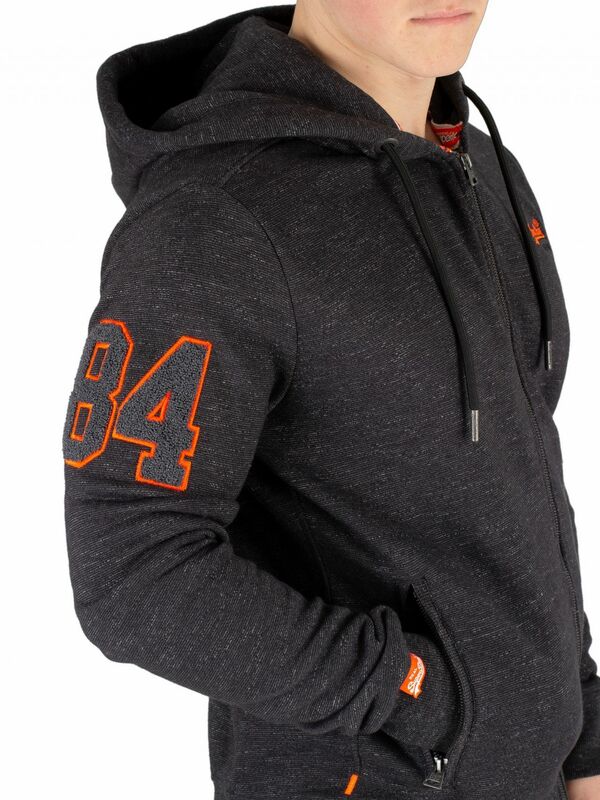 The Orange Label Field Zip Hoodie from Superdry comes with an embroidered logo on chest, featuring a textured number on right sleeve. 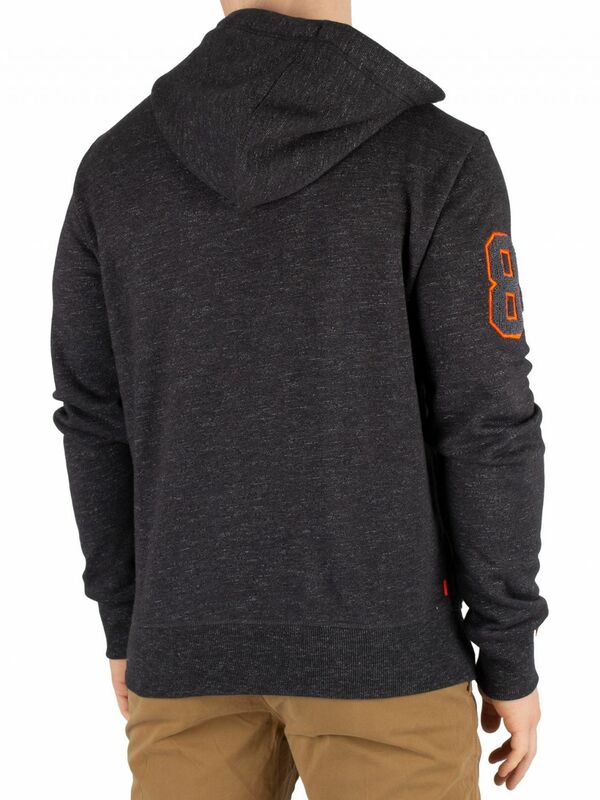 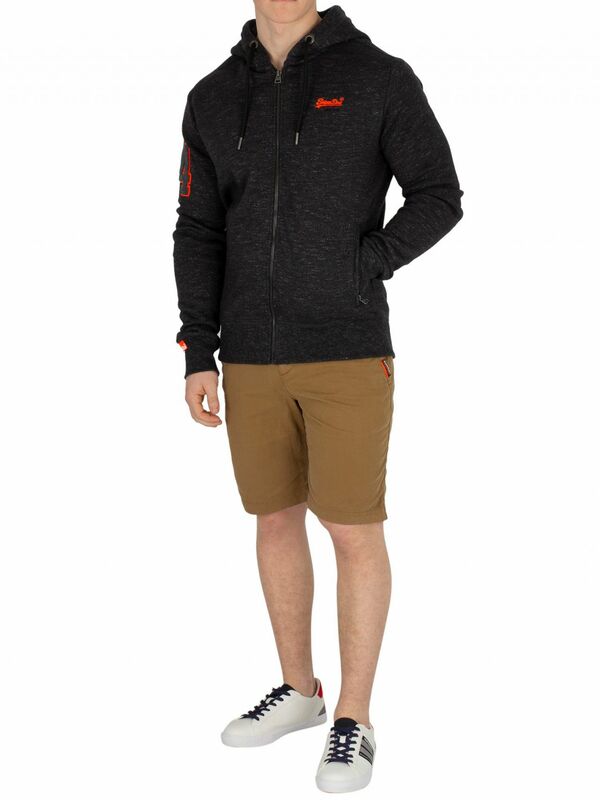 This hoodie also features zipped pockets and elasticated cuffs and hem. 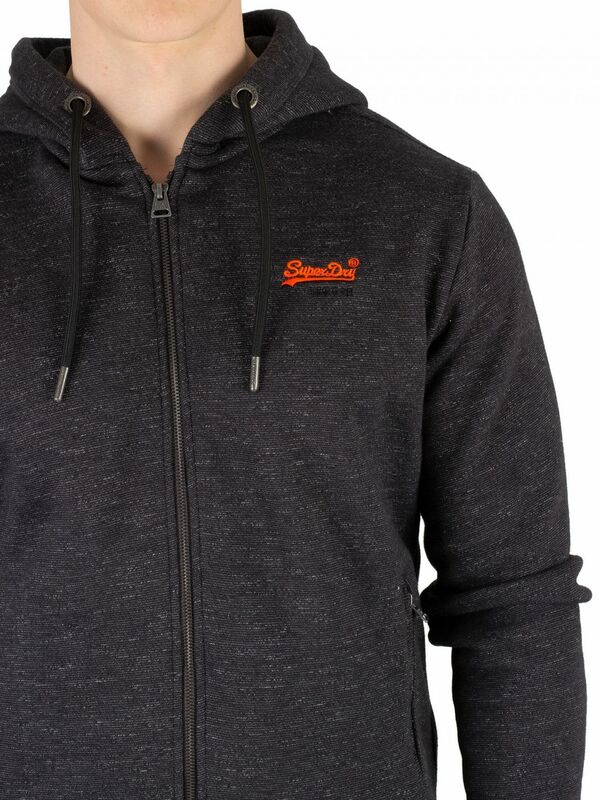 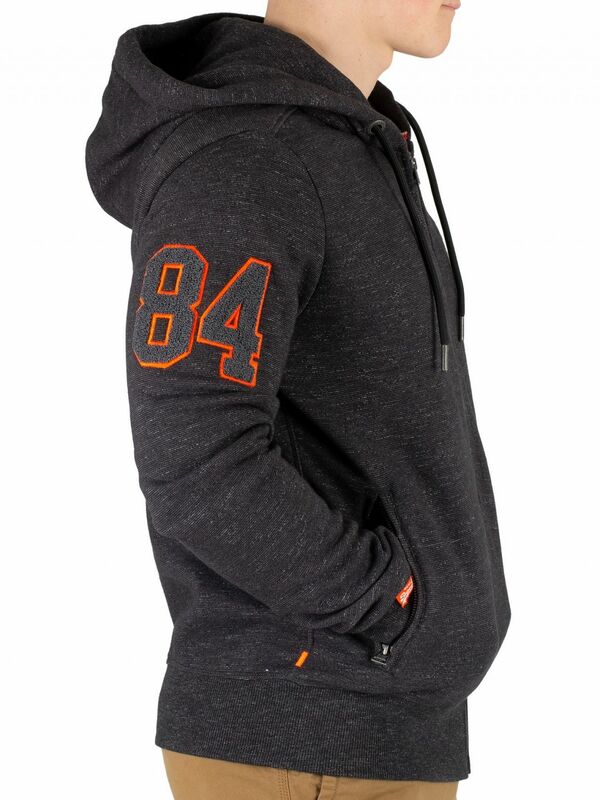 Coming in Black Carbon Feeder colour, this hoodie sports a drawstring hood and zip closure.